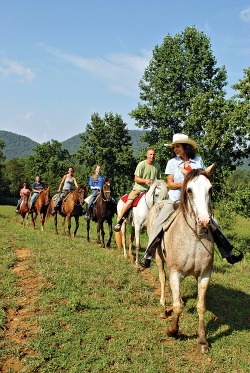 Horseback Riding Stables - They're such a fun thing-to-do in the Smokies. And for good reason! A ride through these beautiful mountains is a wonderful experience! There are several horseback riding stables in the area....the choice is yours! 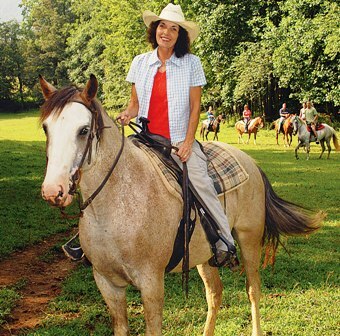 HORSEBACK RIDING STABLES is A Great Way To See the Smoky Mountains! GOLDRUSH RIDING STABLES - These stables are the perfect place to ride in Pigeon Forge. Choose from several scenic trails for a guided tour that offers the opportunity to see majestic views of the city. Trail rides are available for everyone regardless of riding experience. Reservations are taken at these stables so there is never a wait. CADES COVE STABLES - Located in the Great Smoky Mountains National Park, Cades Cove is an officially authorized stables with horseback riding, carriage rides, and hayrides. These stables offer a great opportunity to see wildlife, such as the black bear, and beautiful mountain views. 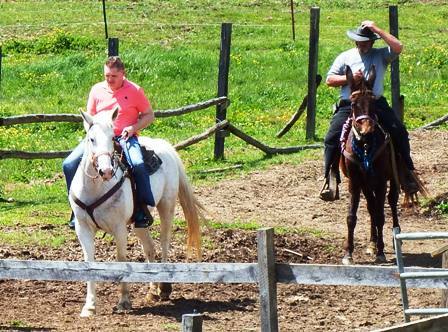 Your level of riding experience, great, or small, will be accommodated at Cades Cove Riding Stables. SUGARLANDS - These horseback riding stables are the perfect place to enjoy a scenic view of the mountains and the possibility of wildlife viewing along the way. Children must be age five to ride. There is a weight limit of 225 pounds. One of their most popular tours is an eight mile trip that takes two hours while winding up the mountainside. Sugarlands is not only popular for their horseback riding, but also known for their museum, short hiking trails, and a waterfall. WALDEN CREEK - Whether you're and avid rider, or it's your first time in the saddle, Walden's Creek has everything needed to make your Smoky Mountain ride enjoyable. With over 500 acres, you'll have plenty of riding room! They offer four tours, however, these vary in time length, terrain and trail route. The horses are just as gentle as they are beautiful! With more than a 100 to choose from, I'm sure you'll find the one that is right for you! 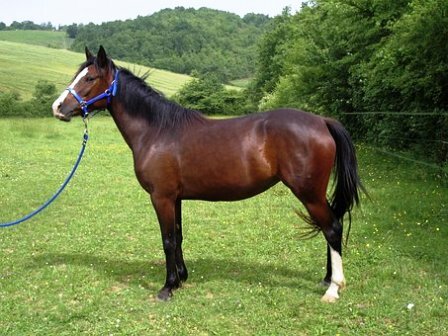 DAVY CROCKETT RIDING STABLES - Townsend,TN offers a wonderful experience at Davy Crockett Horseback Riding Stables. 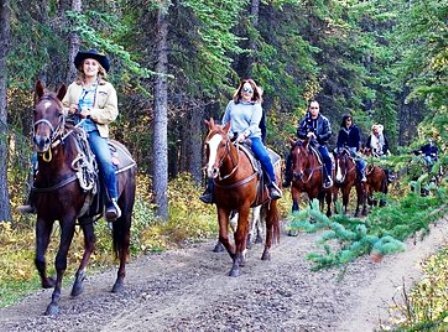 These guided tours allow you to rent one of their horses, or you may bring your own! The stables are open year around from 9 a.m. til 5 p.m. Reservations are required except for March 15 - November 15th. You don't need the reservation, however, tours are given on a first come, first serve basis. Davy Crockett offers half day rides, and overnight tours. 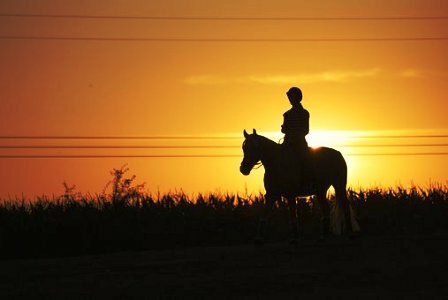 FIVE OAKS - The perfect ride for relieving stress and enjoying a nice leisurely ride is at Five Oaks Horseback Riding Stables. These stables sit on 70-acres and has their own nature park. 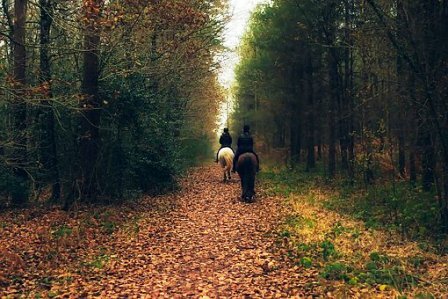 You'll experience gentle horses and beautiful green forests along the trails. Five Oaks sits in the midst of Sevierville surrounded by area attractions along with their own Zip Line Ride. Small children are allowed to double up with adults. DEER FARM - Riders of every age will enjoy riding here! Deer Farm is a family favorite located in the Sevierville area. This stables offers three different ride options. You may choose to do a 30 minute, 60 minute, or 90 minute tour. Children are allowed to double with their parents, or other adults, however there is a $7.99 fee for doing so. Children especially enjoy visiting Deer Farm because not only does it offer great horseback riding, it also has a petting zoo. 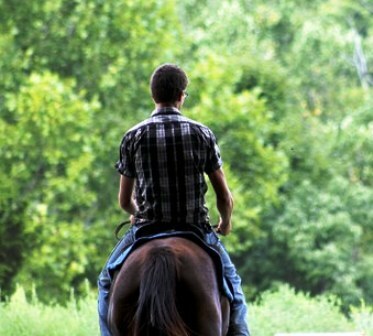 SMOKY MOUNTAIN RIDING STABLES - The beauty of the mountains come alive on the trails of Smoky Mountain Riding Stables. Breathe that crisp, mountain air! Ride trails that are mountainous, not flat! (However, there are trails for the beginner,) as well as the most experienced rider. The horses are well-trained. There are guides who lead the horses at a walking pace through the mountains. These stables have a maximum weight limit of 225 lbs. With more than twenty years experience, and an excellent safety track record, Smoky Mountain Riding Stables of Gatlinburg is an excellent choice for large groups, or for every member of the family. 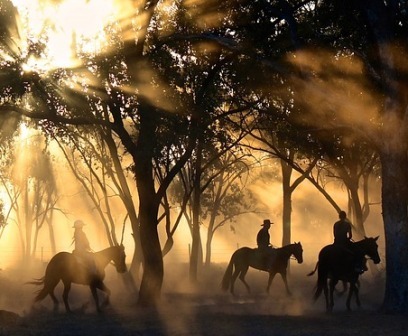 Whichever horseback riding stables you choose will be a delightful adventure. And if you're looking for farm-time fun for the family, or your group, check out other stables who offer hayrides and carriage rides.